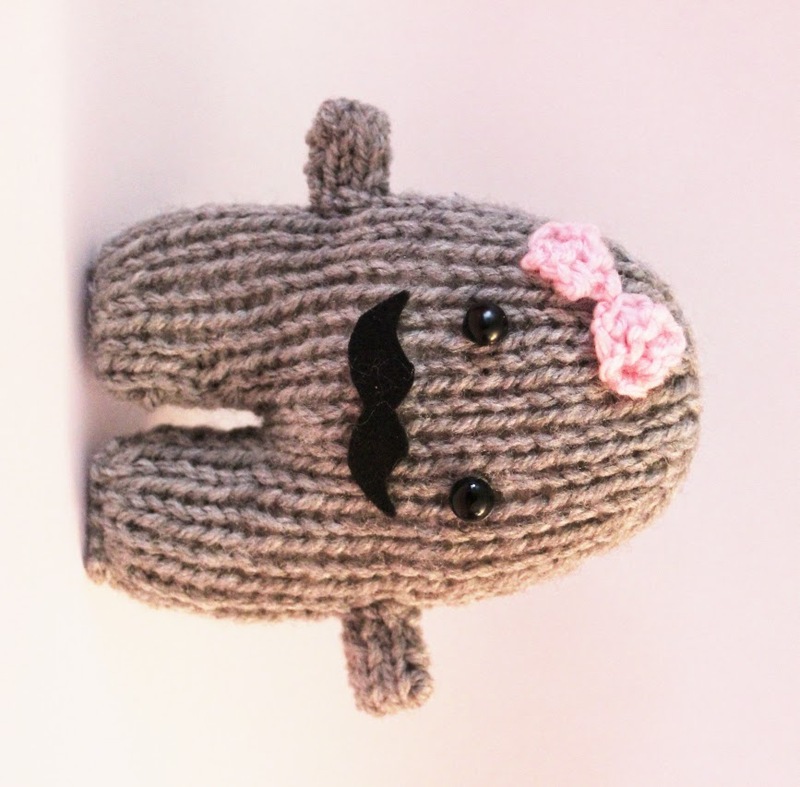 For the last few years I've been noticing this super cute moustache trend with handmade items. 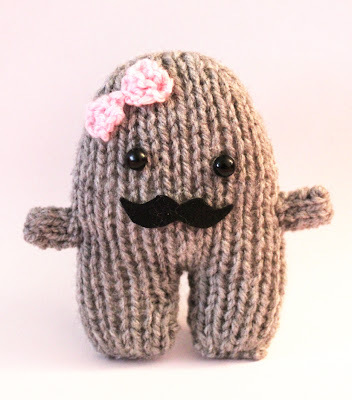 It seems that adding a moustache to anything makes it super cute and rather trendy. 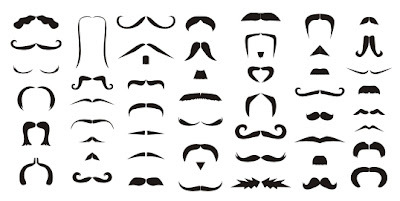 So it appears the idea of a hairy upper lip had stuck in my mind as a few days ago I was doodling and then these guys appeared on the page. I love them and they make the perfect couple. 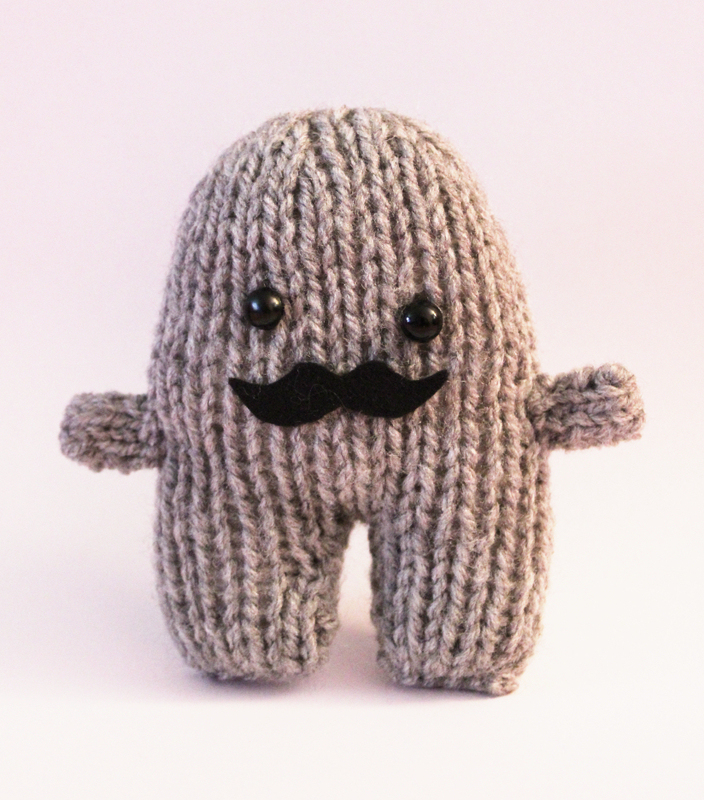 I might even need to make a pattern for a little tashy baby to complete the family! 10. Cut the yarn leaving a long yarn tail for sewing up later and place the stitches on a spare needle or a stitch holder. Cut yarn, leaving a long tail. Draw tail through remaining stitches and pull tightly and secure. Use tail to mattress stitch row ends closed stopping once you reach the row markers. St this point you may want to embroider on eyes or add safety toy eyes. At this point split your rows into two legs and continue to mattress stitch down one side until you reach the cast on stitches. Repeat on the other side using the long tail end from step 10 to mattress stitch down the leg until you reach the cast on stitches. At this point you can fill the toy with stuffing until you reach the desired fullness. Close remaining openings on each leg by whip stitching the two cast on ends together and secure any loose yarn ends. Bind off leaving a long yarn tail. Fold the arm in half length ways so the cast on stitches meet the bind off stitches and whip stich along the open edges to close them off. Use the CO/BO edge and attach the arm to the body just above the legs. Use the long yarn tail on each side to attach the bow onto the side of the head. 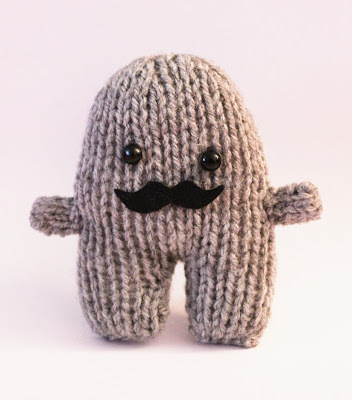 For the moustache I free hand cut out a little 'ring master' moustache from black felt. This may be easier if you fold the piece in half to it is symmetrical once unfolded. 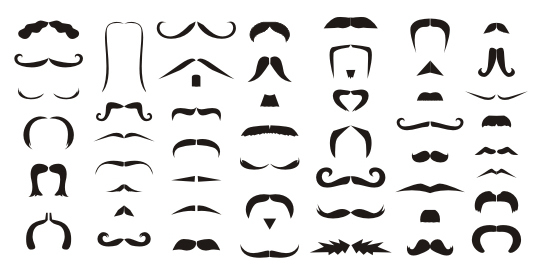 However if you would like an alternate to the 'ring master' style or would like a template then I have found an awesome bunch of free moustache vectors available for free from 'Pink Moustache' which you can download here. I would love to see these guys in a variety of colours so let me see what you can come up with. Awesome Mrs Moustashe was featured on Cuteable!